To the north of Cairns and Port Douglas you will find the oldest rainforest in the world. 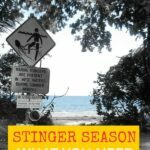 Daintree Village, Daintree River, Daintree Rainforest and Cape Tribulation are areas you will most certainly want to see during your time in Far North Queensland. 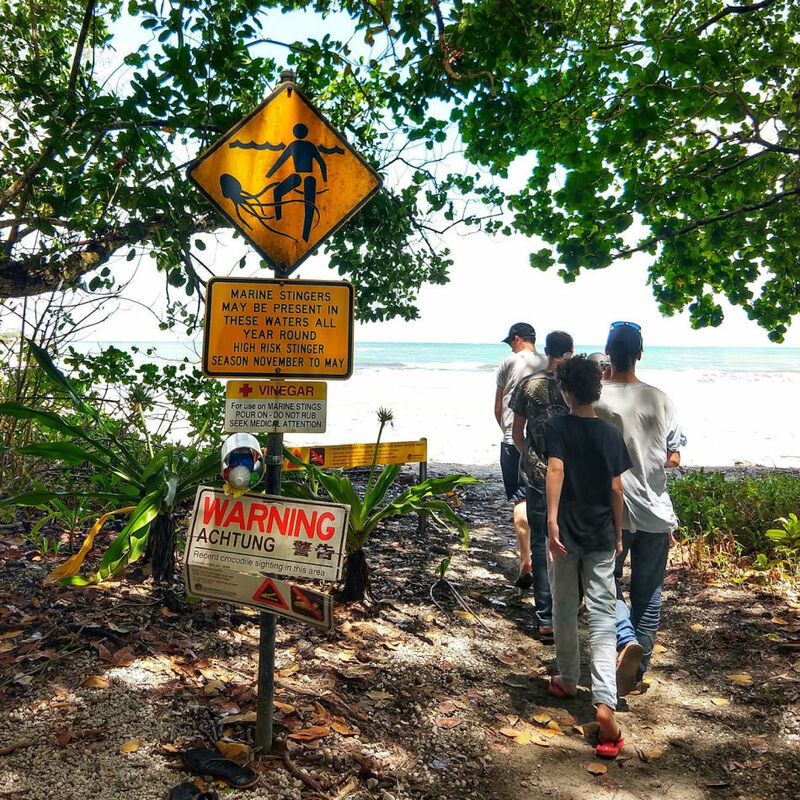 A look at everything the Daintree has to offer and how to get there from Port Douglas ( or Cairns) by private car or by tour. There are multiple ways of seeing and staying in the Daintree and the rainforest conceals tourist attractions and natural wonders. 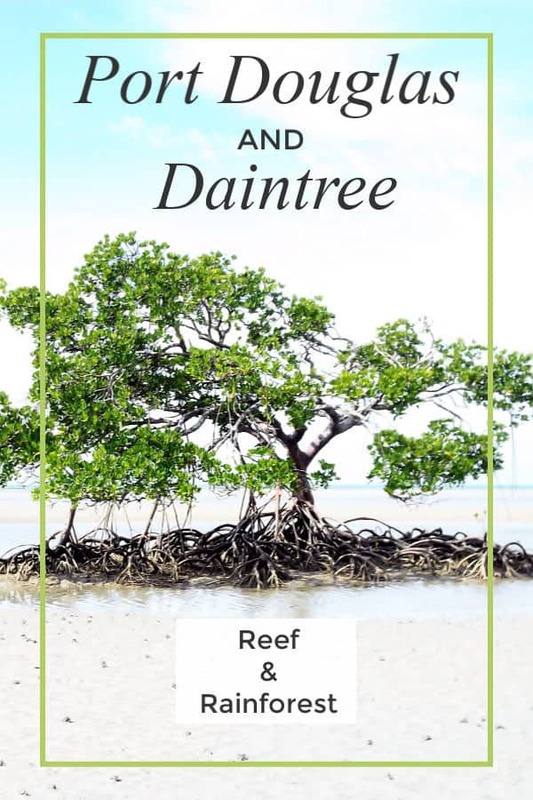 Welcome to our Daintree travel blog and guide, freshly made for 2019. A beutiful beach on Cape Tribulation. Famously this is where ” The Reef Meets the Rainforest” but you have to watch out for wildlife, there’s a reason you won’t see people swimming on these beaches. This is how you cross the river from Cairns or Port Douglas when heading up to the Daintree Rainforest or Cooktown. In very bad weather, when the wet season is at it’s wettest, this route can be closed to all traffic so always check before you set off. Distance from Port Douglas to the Daintree Visitors Centre is 69 km and will take approximately 90 minutes in a car. 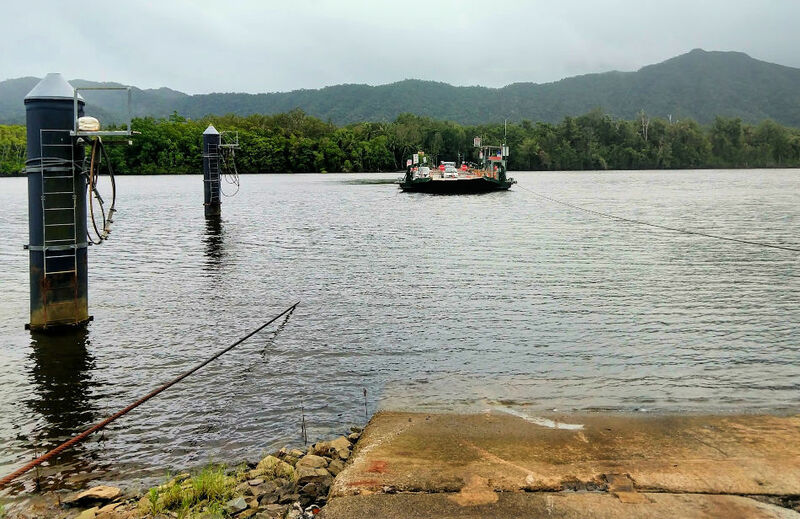 This includes the ferry crossing across the Daintree River. The cost is $28 return on the ferry. Locals in possession of a Douglas Pass can cross for free. 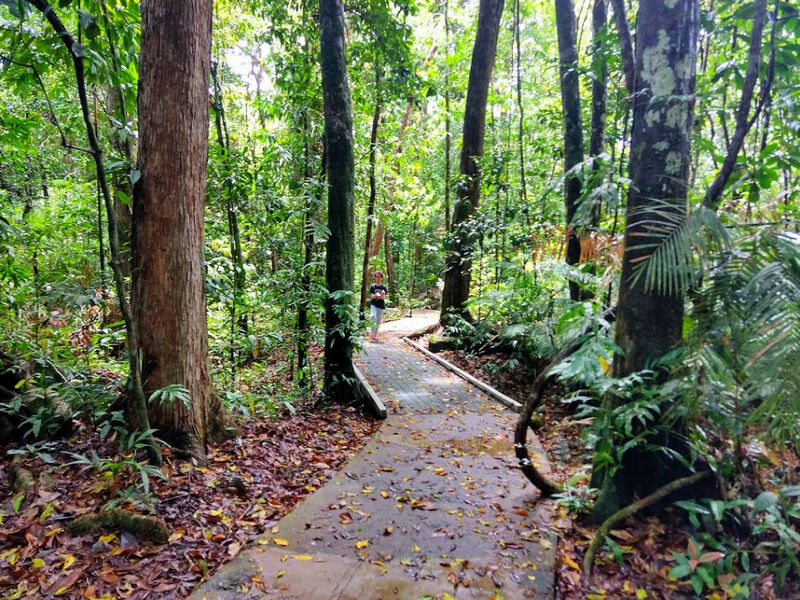 The Daintree rainforest stretches north over 70 kms from the Daintree river to the Bloomfield river and encompasses Cape Tribulation, where Captain Cook was ship wrecked over 200 years ago. Cape Tribulation is located in the Daintree rainforest just before the sealed road gives way to the 4wd dirt road. There isn’t a lot of public transport heading to either Daintree village or Cape Tribulation and the Daintree Rainforest. A few tour operators do the run from either Cairns or Port Douglas to Daintree and or Cape Tribulation . It is worth noting that Daintree Village isn’t located on the coast and is on the south side of the Daintree River inland approximately 60 km. 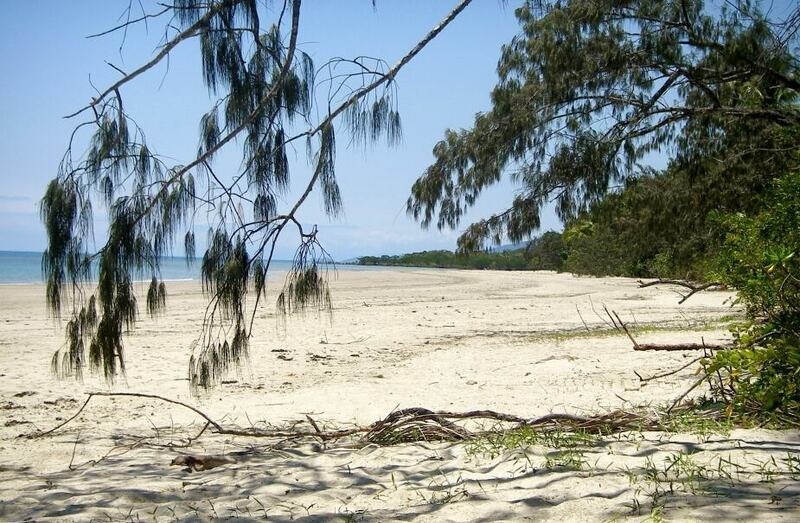 Access from Port Douglas is direct and is approximately 56 km. Just head north at the turn off to Daintree River Ferry. Daintree Village is not on the direct route to the cape from Port or Cairns but you could take a look as a side trip. The only road north from Daintree Village is a serious 4 wd track that can only be accessed in the dry season called the Creb Track after the electric company that put it in. 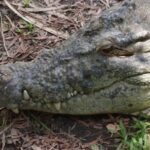 There are a few tourist shops and restaurants in Daintree Village and wildlife and crocodile spotting tours leave from the river jetty just outside the village. There are a few places to stay in Daintree Village. Daintree Village is not in the rainforest, it is a small community of the other side of the Daintree River. It’s worth a look. Watch out for the ” Big Barramundi”. 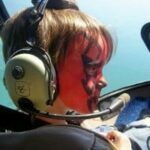 We always joke with the kids that we’re in The Dagobah System. Watch out for Yoda! See tour options by clicking our links in the paragraph below. There are a whole heap of tours that will take you to the Daintree Rainforest and Cape Tribulation from Port Douglas or Cairns. Styles vary, you can head north by car, 4 WD vehicle or book a tour that combines luxury reef boat and rainforest tour. While in the forest you can walk, spot wildlife, canopy surf or bungee jump. I’ll just send you here to take a look at your Daintree tour options. This is the company we use and recommend and they have a lowest price or money back guarantee. I’m certainly going to be doing another helicopter ride when we’re back in Port Douglas for Christmas 2018. They are amazing! Reminder- Look here. Th Daintree is beautiful, but you needs to be carefuls. Daintree Crocodylus Village (Cow Bay) Safari style tent-huts. Bar, restaurant and self catering kitchen. Dorm, doubles twins and huts fore 4. Games room, bike hire, pool table. 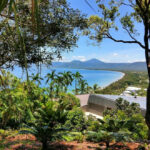 Earthship Daintree (Cow Bay) Isolated villa for 2, solar and eco powered, hilltop sea views. Free wi-fi. This cassowary casually crossed the road in front of our car and headed up the driveway to one of the hotels in the Daintree Rainforest. You won’t be short of opportunities to spot wildlife in Daintree and Cape Tribulation. Salt Water Crocodiles. In the rivers and in the sea, exercise caution. Bennet’s Tree Kangaroos. 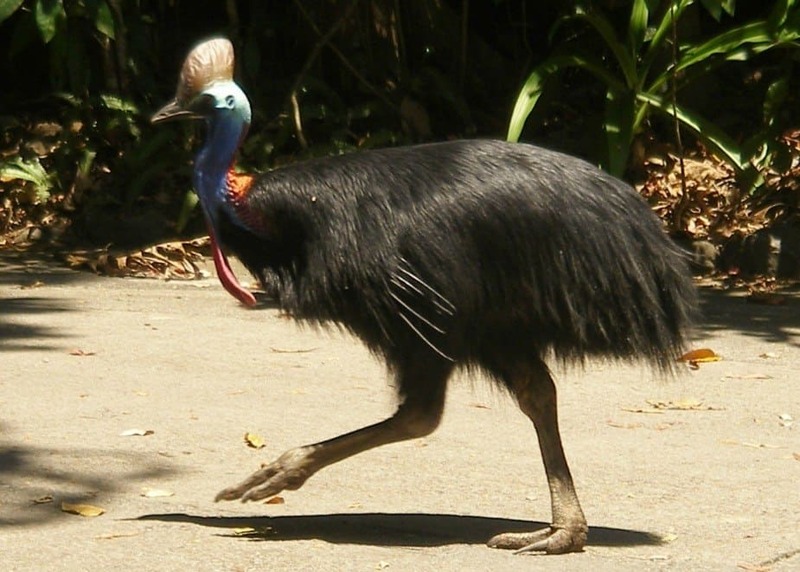 These are rare and I’ve never seen one in the Daintree but I know people who’ve seen them on the Atherton Tablelands and behind Port Douglas on The Bump Track. There are breeding tree kangaroos at Port Douglas Wildlife Habitat. Unlike Drop Bears, these are real. Sea Cows or Dugongs. This is how Cow Bay got its name. Dolphins, we’ve seen them around Lizard Island. Not a complete list of course, but just some of the animals, and one plant, to keep an eye out for. Mosquitos are common. You will need repellent. 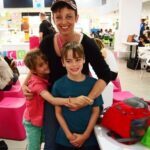 Daintree Ice Cream Company- this has recently changed hands and we think the ice cream is better now. Floravilla Ice Cream Factory at the Cow Bay turn off. Daintree Discovery Centre. Raised walkways, education centre and rainforest canopy tower. Most people will stop at the Daintrree lookout and the view of the rainforest and river is pretty spectacular on a clear day. There are often coach parties and small crowds here. It’s correctly called the Mount Alexandra Lookout and is about 10 minutes drive from the ferry crossing. Taking the kids for a walk at the Marrja Botanical Walk is always fun. There are plenty of interesting plants and animals to spot and we usually see an enormous golden orb spider or two. 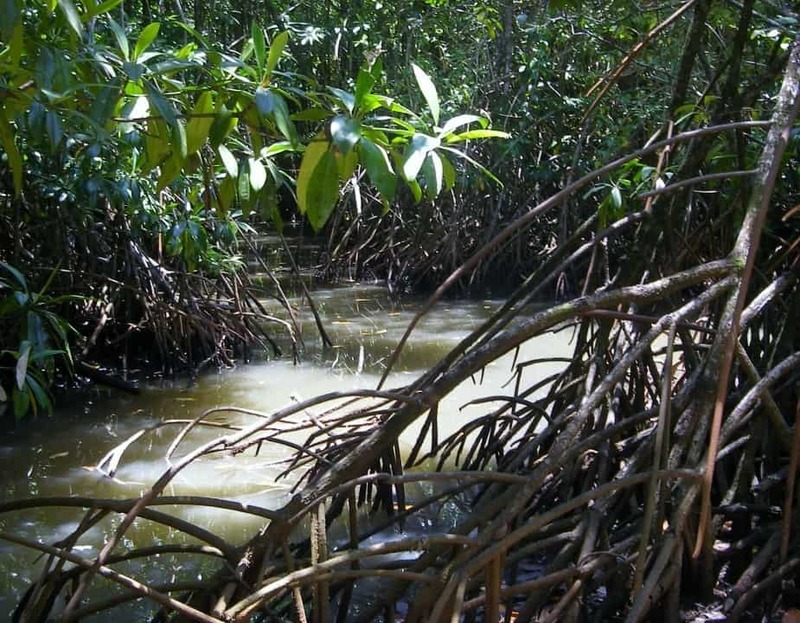 It’s best to stick to the boardwalks if you want to explore the swamps and rainforests, for your own safety, and for the sake of the forest. You can see some incredible plants and animals. Most of these boardwalks have free parking areas and basic toilets. Distances and times to walk are a rough guide only. Jindalba Boardwalk 45 mins 650m there and back. Mount Sorrow 6 hours + 7km, hot and challenging! Playing on the sand at Thornton Beach. You must look out for crocodiles here. Thornton Beach has a nice little cafe come bar or restaurant set just behind the beach. It’s a nice spot to stop and take a stroll on the sands. You can also walk easily at Cow Bay, there is parking at both. 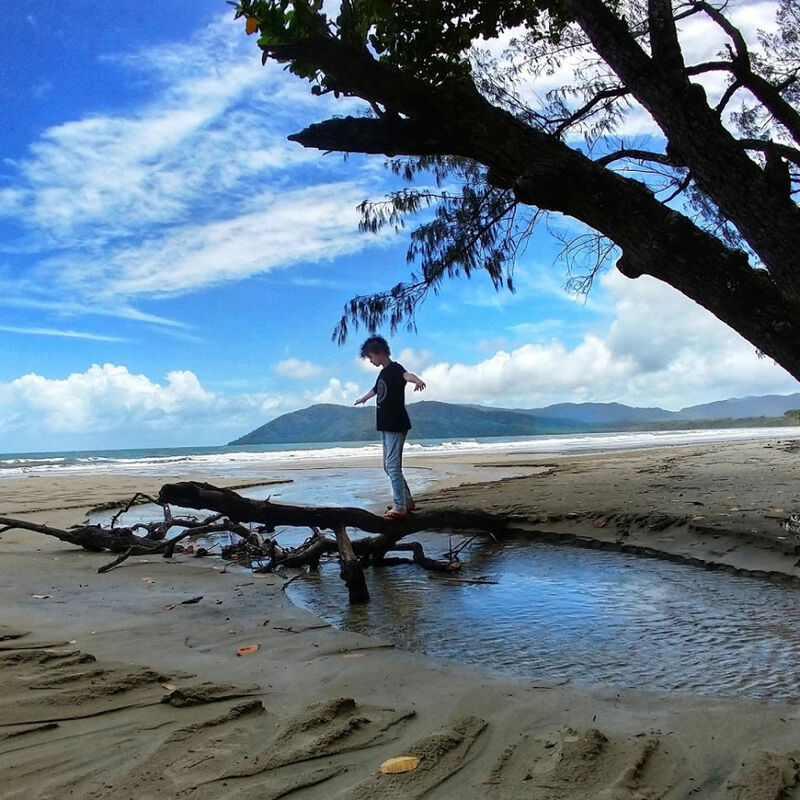 Daintree Rainforest and Cape Tribulation are must dos from Port Douglas or Cairns. As you can see there are multiple things to do and see in the Daintree. There are also plenty of places to stay in the worlds oldest rainforest and Cape Tribulation. 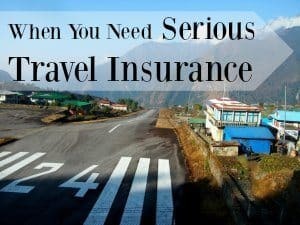 We hope you have found this travel blog useful. Any questions about traveling in Far North Queensland put them in the comments below.